The development of a credible model of personal brand designed for business applications is one of the important breakthroughs in the past decade in brand management. Today there are two primary applications for personal brand in an organization’s corporate brand strategy. 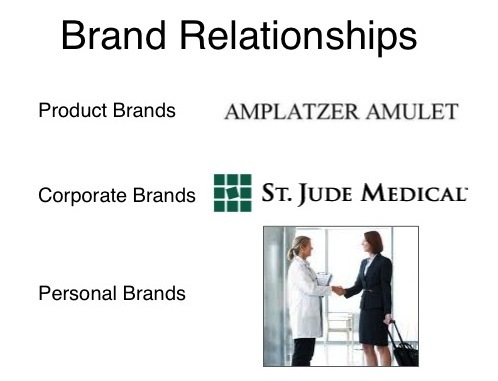 In some organizations the personal brand of certain employees has an oversized impact on how the corporate brand is perceived, e.g., sales people in the medical device industry. A credible model of personal brand enables organizations to apply a disciplined brand management process focused on building the strength of customer-focused personal brands. The other powerful application of personal brand is its use as a tool to foster internal brand alignment. Brand Tool Box has been a thought leader in the development of personal brand principles and best practices for over 15 years. As the leader in business applications of personal brand management, tens of thousands of business professionals have used our development tools. 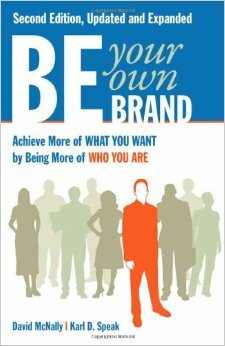 The book, Be Your Own Brand (available for purchase here), published in 2002 and expanded and revised in 2011 was principally authored by our founding principal, Karl D. Speak and continues to be the primary resource for business applications of personal brand. The principles presented in this best-selling book introduced an innovative perspective on personal development for individuals and enabled businesses to embrace personal brand as a viable, practical brand-building tool. Following the publication of Be Your Own Brand, Brand Tool Box has developed a number of organizational and personal development tools based on the practical framework of personal brand presented in the book. Learn about the new Broadview Personal Brand Discovery Tool (available for purchase here), a highly interactive, personalized app to provide individuals with the practical tools to define and prioritize their personal values – the platform for an authentic personal brand; conduct a comprehensive online assessment of how the individual is perceived by professional colleagues and personal contacts; and a set of practical, personalized action-learning exercises to build confidence and competence in using their authenticity to be a more effective team member and leader. For businesses, Brand Tool Box pioneered the concept of the Power of Brand Alignment as a reliable and sustainable framework of internal brand building. In addition, the proprietary model of personal brand has been incorporated into a powerful sales training tool. Everyone has a brand and anyone can be a strong brand. It doesn’t involve changing your personality and you can be an introvert or an extrovert. The difference between one personal brand and another is that the person with a strong brand utilizes his or her special qualities to make a difference in the lives of others. Using one’s values and distinctive qualities to make a difference for others is the core ethos of a strong, thriving personal brand. Using marketing techniques to create a high profile for oneself is not the point and won’t make you a stronger brand. When you make a discernible difference in the life of another, you make a lasting impression and your brand receives credit—a deposit in the “trust bank.” Every meaningful impression adds more “credits” that build toward the establishment of a trusting relationship. Since the ability to build trusting relationships is a key component of professional and personal success, people with strong personal brands are able to achieve more of what they want by being more of who they are. One cannot underestimate the importance of authenticity, nor can one overestimate the power of alignment in striving to become a stronger brand. The challenge to building a stronger brand is having the courage to be authentic, finding alignment with others, and applying one’s special qualities creatively to make a difference. Learn more about Karl’s perspective on personal branding. If you want to learn more about our personal brand-building services please Contact Us.